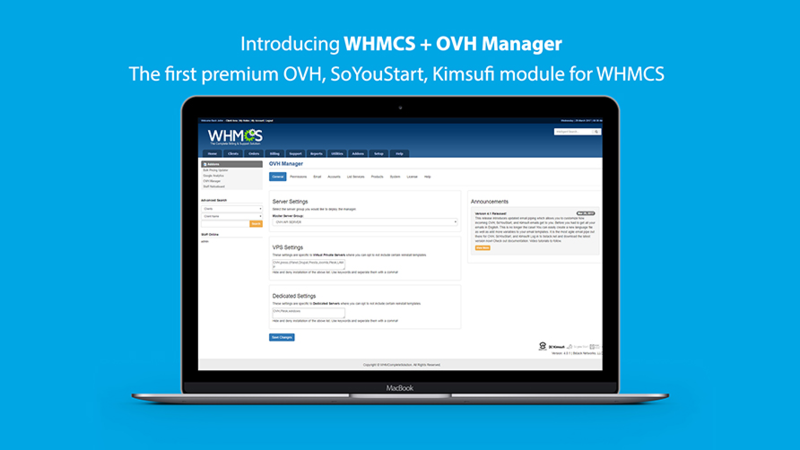 Fully optimized for WHMCS unleash the OVH Manager and all it has to offer directly to your clients. OVH paired with the most advanced web hosting billing system creates an all-in-one solution that you cannot find anywhere else. Cut support tickets in half and make happy clients independent once again. This is the ideal solution for OVH, SoYouStart, and Kimsufi resellers offering VPS or Dedicated servers. Click the "Buy Now" link and choose to lease or own. Please reference our documentation; however, we are here to assist you! The technical support is not good and they react very slowly to changes in OVH and WHMCS. I currently have colleagues who complain that the app does not recognize OVH messages and have to be sent manually to customers. A great plugin to manage vps or dedicated servers from OVH, Soyoustart or Kimsufi. 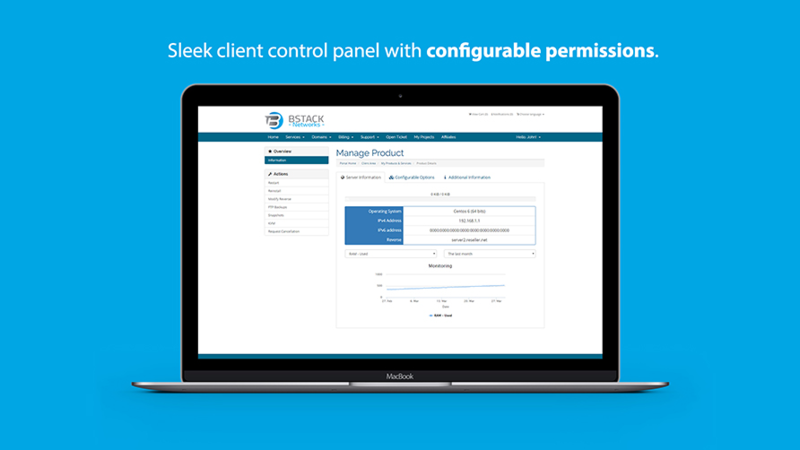 Client area integration use a clean design and all features from OVH manager are available. Module installation is explained with a step by step guide and require less than 20 minutes to be configured. 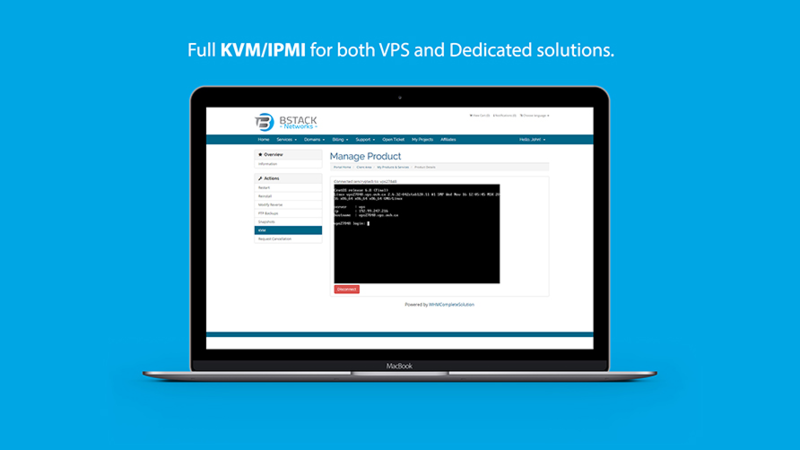 If you're wondering whether to get WHMCS Global Service's Soyoustart Module or Bstack's OVH Manager. I would recommend you getting from Bstack's and here's why: 1. You only need 1 Custom Field and not 19. I just have to enter the Service Name to assign the server and I don't have to tick here and there, the default settings are saved on the Module. 2. Received Ticket response within an hour. 3. Received guidance and issue is solved within an hour. Unlike unsolved for more than a month. 4. If you're just starting with a few servers, it's a cheaper solution. 5. You don't even need IMAP or Pipe. 6. The User Interface is so much cleaner. However, the Cons is. Many features still can be implemented through the API. And hopefully one day, an automated feature will be available. This can improve Server deployment timing and save costs. Thank you for the feedback. We are working on ways to auto deploy and have sent requests and feedback to OVH for functionality.